2x Champ, Follicle Density of 76mm! 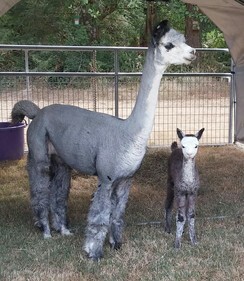 Sunny is a beautifully conformed medium silver grey. She is a granddaughter of the exceptional Aussie .38 Special! 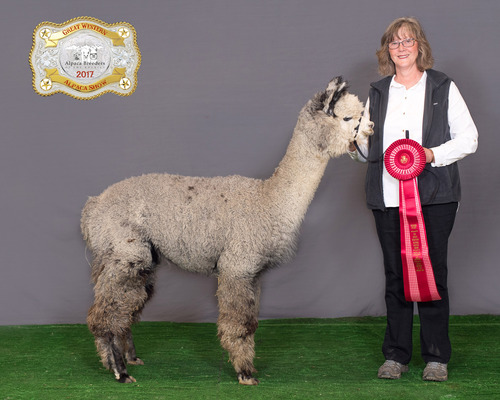 Judges always comment on how bright her fleece is! 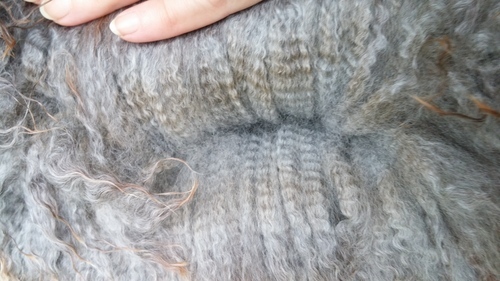 She has a lovely fleece with a nice crimp style and good staple length. 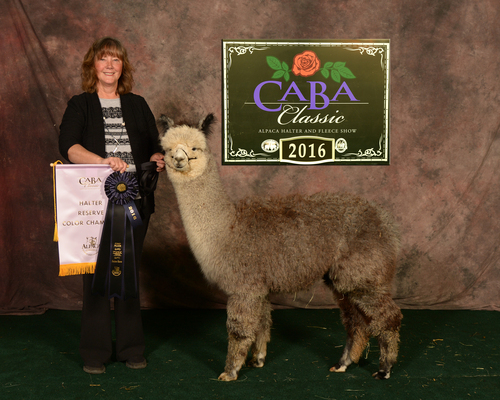 Sunny needs a bit more density so we have chosen to A Paca Fun's Sonic Shift for her maiden breeding. 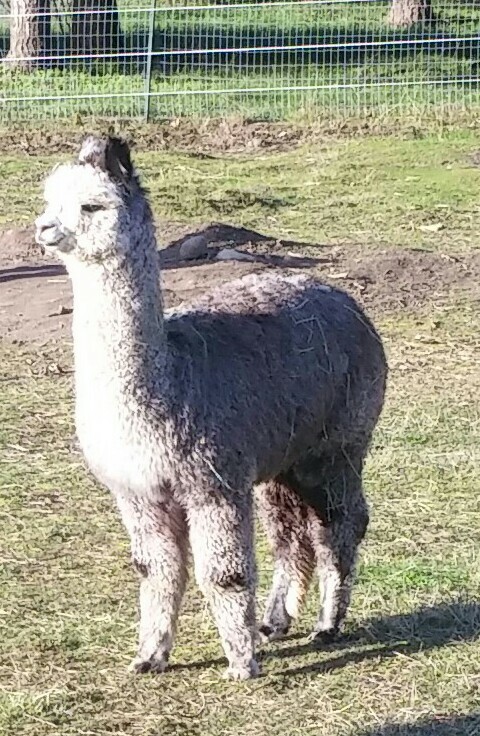 This boy is awesome and according to follicle test results by Ian Watt, he is the densest grey ever tested! 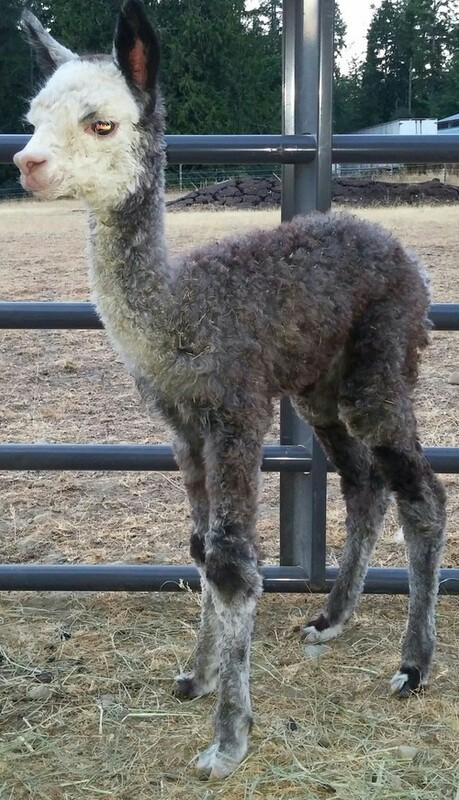 He and Sunny have produced an absolutely phenomenal cria! Beautiful Arondelle of ACRF was born on February 13th in the middle of the frozen wonderland that was our farm. For fans of the movie Frozen, the Arondelle is the mythical frozen kingdom. 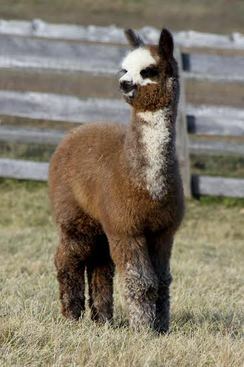 This hardy female cria has stunning, medium grey fleece. Her only white is on her face and three of her feet--she looks like she's wearing dancing shoes. We are so excited about this little girl. 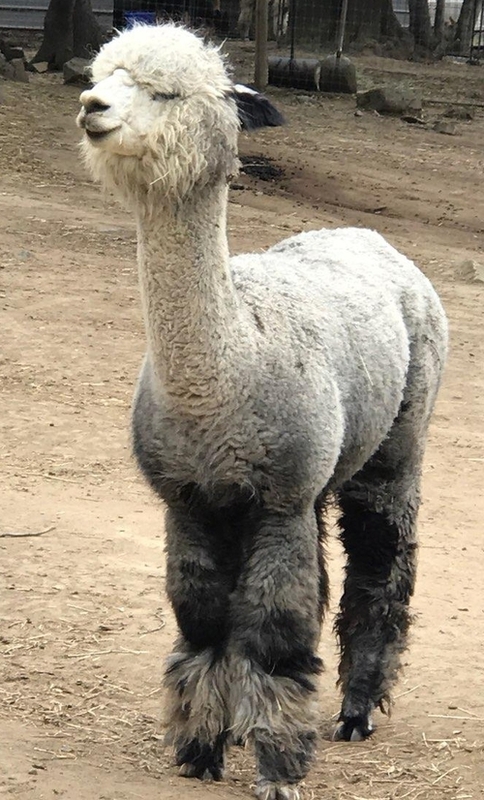 Her fleece is very crimpy and appears to be quite dense. Sunny is an excellent and doting mom. "Aron" is growing very well and already started eating pellets at just 3 weeks.